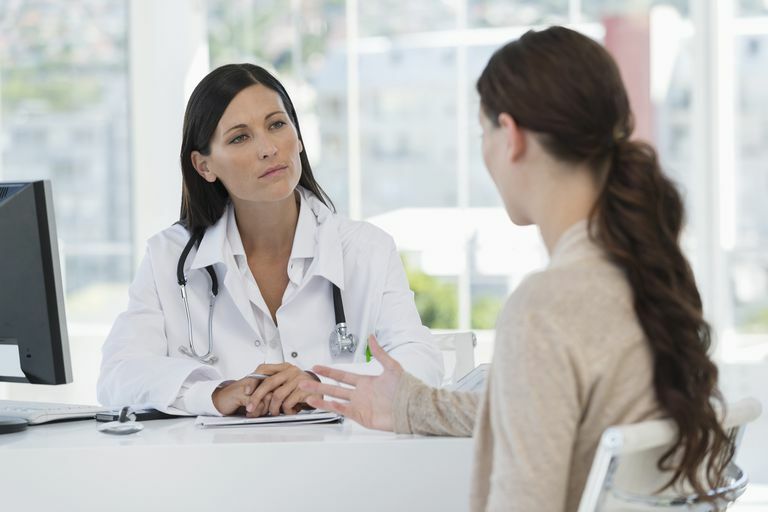 When you want to provide feedback or complaints to your doctor, you'll want to prepare carefully to make sure that your feedback achieves the results that you want. Complaining about any service, including medical care, requires strong communication skills, assertiveness, and the ability to see things from the other person's perspective. Before you provide feedback, give some thought to whether your complaint has any possibility of being resolved, or whether it was a problem that couldn't be helped at the time. If your doctor gives you undivided attention and spends a great deal of time with you, then you should realize that other patients are getting the same type of attention. If your complaint is that you spend too much time in the waiting room, consider balancing that inconvenience against the benefit of the extra one-on-one time that you get with your doctor. If your doctor delivers babies, expect delays. OB-GYNs, primary care providers, or even pediatricians may get called at the last minute for a delivery. Sometimes, doctors have personal emergencies that need tending. Doctors have to deal with their own health and taking care of their own families. Just like you, their personal emergencies may cause unexpected problems that require their immediate attention. If your doctor consistently uses words you don't understand, stop to ask what they mean. No formal complaint is necessary; simply a brief reminder during the conversation will probably be all that is required. There may be other problems that crop up that your doctor or staff can't do much about. A delay due to a weather emergency, a patient scheduled before your appointment who showed up late or who had a particularly complex medical problem, or spending extra time requesting your medical records from another provider can all cause inconveniences in your appointment. Don't frustrate yourself by complaining or dwelling on these unchangeable events. When a problem recurs at each visit, then your feedback may be just the impetus for improving it. Further, if your complaint is something that could improve service to all patients, not just you, then it will be worth bringing up. If your doctor always runs late, but rarely spends more than a few minutes with you, then register your complaint. That indicates a scheduling problem, not a helpful and empathetic doctor. If a member of your doctor's staff is consistently rude or difficult, then report the problem. You have a right to expect courtesy. The system may make it hard for your doctor to fire staff, but when more than one patient complains, this provides evidence and documentation that can be helpful. If a problem with your billing from the doctor's office and not the payer (insurance, Medicare), then address your problem to the billing clerk. If you request a prescription refill and the paperwork or phone call to the pharmacist doesn't get handled in a timely manner, then call this to your doctor's attention. Whether your doctor uses an automated system, or someone has dropped the ball, the system has failed you. If anything occurred that had a negative impact on your health, and you did not cause it yourself, then you need to speak up and let your doctor know. This could include anything from prescription errors to miscommunication. If you were referred to a doctor by another physician, and you have a problem with the consulting doctor, then in addition to providing feedback to the doctor or office where the problem occurred, let the referring doctor know about the problem, too. The referring doctor may think twice about making the next patient referral after learning that there are potential problems. The problem is a reflection on the referring doctor too. Begin the feedback process by writing down exactly what information you want to provide. If it is a complaint, then record the problem concisely—names, what you observed, how you were treated, and other details. Try to balance each problem with something positive, if possible. That balance will make your criticism more constructive, and it will make it much easier for you to deliver the message. Try not to think about your feedback as a complaint, but, instead, as constructive criticism, and this will increase the chances that the recipient receives it that way as well. Complaining can be cathartic, but the real benefit comes in the form of change. If you or your child have an immune problem and the waiting room was full of sick children, ask if you can wait inside the examination room instead, and away from other patients to avoid catching an infection. Sometimes, you need to be clear about what you expect the outcome to be. "For my next visit, I hope Ms. Receptionist will be pleasant." Think about how you want the problem to be handled in the future, and suggest a better approach if you think it is realistic. It is also important that you figure out the right person to deliver the message to. If your doctor is part of a larger practice, then there may be a practice manager or administrator who will be most helpful to you. If the problem you encounter is with a staff member, then providing feedback to either the doctor or practice manager might be helpful. If the problem is with the doctor then it may be best to provide feedback directly to the doctor. However, if you are concerned that your doctor will not respond well, consider talking to his or her supervisor. For example, if a staff person has been rude to you, you might say, "Doctor, you know, I appreciate the fact that I rarely have to wait very long to be escorted to an exam room. But I do want you to know that each time I try to make an appointment, I feel like I am creating a problem for Ms. Receptionist. She has been rude to me on several occasions. I hope you don't mind me sharing that information because I'm sure you'll want her to know that's not acceptable." You can see how balancing the difficult information makes it easier to deliver the complaint. It's easier for you to begin with something positive, and you will have said something nice to smooth the road to the criticism. If you really cannot talk to the doctor or a staff member, then consider writing a letter. Just like preparation for a conversation, you need to be clear about the facts, and you'll want to add as much supporting information as you can. If you don't get a response or acknowledgment after taking the time to politely provide feedback, but you really want other patients to know what to expect, consider writing a review of your doctor. Be sure to write it objectively but clearly, so others know what the pros and cons of getting health care from this doctor. If the problem with your provider was dire enough, you can also file a formal complaint against that doctor or provider in hopes of encouraging a change in behavior, or at the extreme, to have the doctor removed from practice. It may be difficult to complain to your doctor, but your feedback is still very important. Your doctor and staff can't make adjustments if they don't understand that a problem exists. When you provide feedback clearly, and with a realistic request for change, then that increases the chances of getting the outcome that you want. Skär L, Söderberg S. Patients' complaints regarding healthcare encounters and communication. Nurs Open. 2018 Feb 26;5(2):224-232. doi: 10.1002/nop2.132. eCollection 2018 Apr.